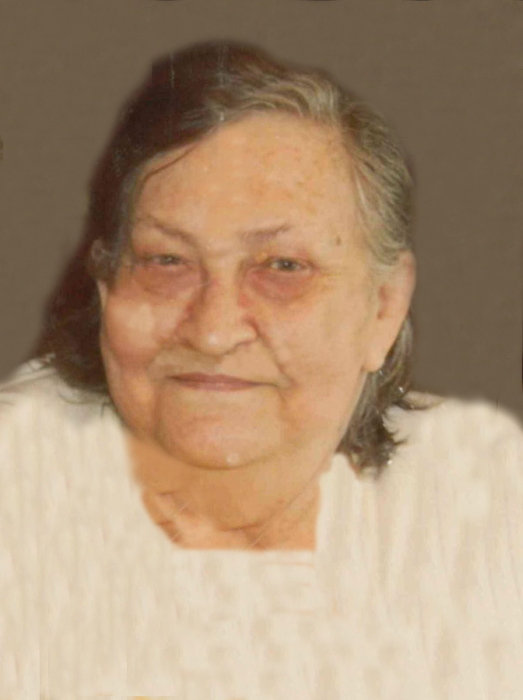 JERSEYVILLE - Trudy Louise Plummer, 77, died at 3:40 p.m., Monday, April 8, 2019 at her residence. She was born in Hardin, Illinois on May 24, 1941, and was the daughter of Clemence and Laura (Presley) Bick. She was raised in Calhoun County, and in her earlier years worked at various nursing homes throughout the area. She was a loyal and active member of the New Life Tabernacle Church in Delhi. She married Harry Delbert Plummer on Jan. 24, 1990 in Jerseyville, and they have shared the last 29 years together. Surviving are her husband, Harry Delbert Plummer of Jerseyville; a daughter, Gina Branham of Jerseyville; three sons and a daughter in-law, Kenneth and Kathy Clark of Elsah, Jimmy Joe Clark and Erik Branham, both of Jerseyville; a step son and his wife, James and Rebecca Plummer of Greenfield; 11 Grandchildren; and seven great grandchildren. In addition to her parents, she was preceded in death by two step sons, Ronald Plummer and Billy Plummer; and two brothers and sisters in-law, Charles and Alberta Bick and James "Junior" and Mary Bick. Visitation will be from 4 to 7 p.m. Friday at the Crawford Funeral Home in Jerseyville, where funeral services will be conducted at 10 a.m. Saturday. Burial will be in the Hardin City Cemetery. Memorials may be given to the New Life Tabernacle Church in Delhi.